Here are my notes for the Networking section of the blue print, after tons of reading and lab time. 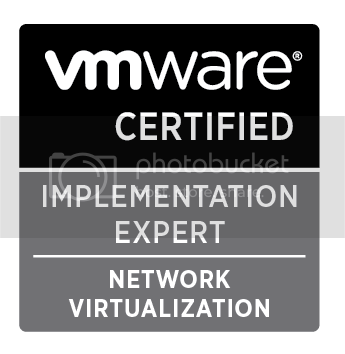 Again – I am heavily relying on the VCAP5-DCA Official Cert Guide (OCG), and the vSphere 5.5 Documentation Center. - Add… _________________ Add an unused physical network adapter (vmnic) to the vswitch. - Edit… ________________ Set the NIC speed/duplex settings. Promiscuous Mode ____ Accept - VM adapter receives all traffic on the wire. MAC Addr Changes ____ Reject disables rx-vm traffic on init/effective MAC mismatch. Sw iSCSI initiator requires accept. Forged Transmits ____ Reject - Host drops tx traffic on init/effective MAC mismatch. Avg Bandwidth _______ Bps allowed across a port, averaged over time. 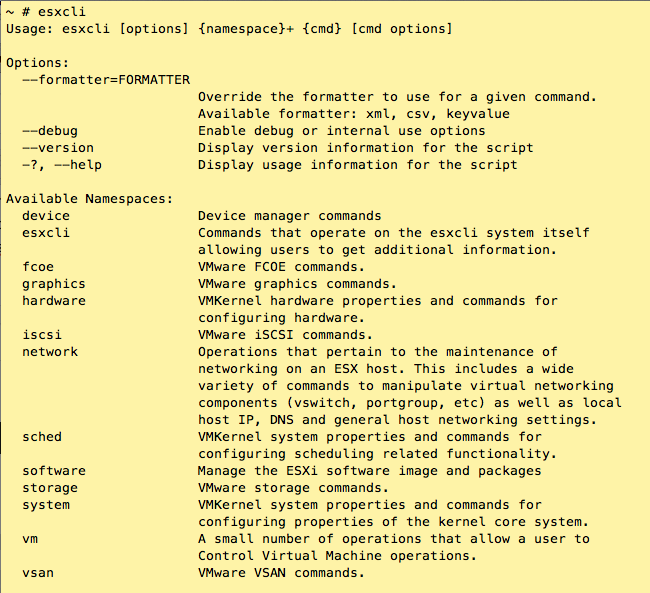 - Edit Portgroup/VMKnet… Configurations here override the vSwitch-level configurations. MAC Addr Changes ____ Reject disables rx-vm traffic on init/effective MAC mismatch. Sw iSCSI initiator requires accept. Avg Bandwidth ___ Bps allowed across a port, averaged over time. explicit ______ Always use the highest order uplink from the list of active adapters which pass failover criteria. mac Route ___ based on the MAC address of the packet source. portid Route __ based on the originating virtual port ID. Use case: Supporting extremely heavy network activity within a VM, when no other methods are sufficient. - For each VMkernel interfaces, choose the Destination port groups prepared. The sampling rate represents the number of packets that NetFlow drops after every collected packet. A sampling rate of xinstructs NetFlow to drop packets in a collected packets:dropped packets ratio 1:x. If the rate is 0, NetFlow samples every packet, that is, collect one packet and drop none. If the rate is 1, NetFlow samples a packet and drops the next one, and so on. Use Case: Private VLANs are used to solve VLAN ID limitations and waste of IP addresses for certain network setups. A private VLAN is identified by its primary VLAN ID. A primary VLAN ID can have multiple secondary VLAN IDs associated with it. Primary VLANs are Promiscuous, so that ports on a private VLAN can communicate with ports configured as the primary VLAN. 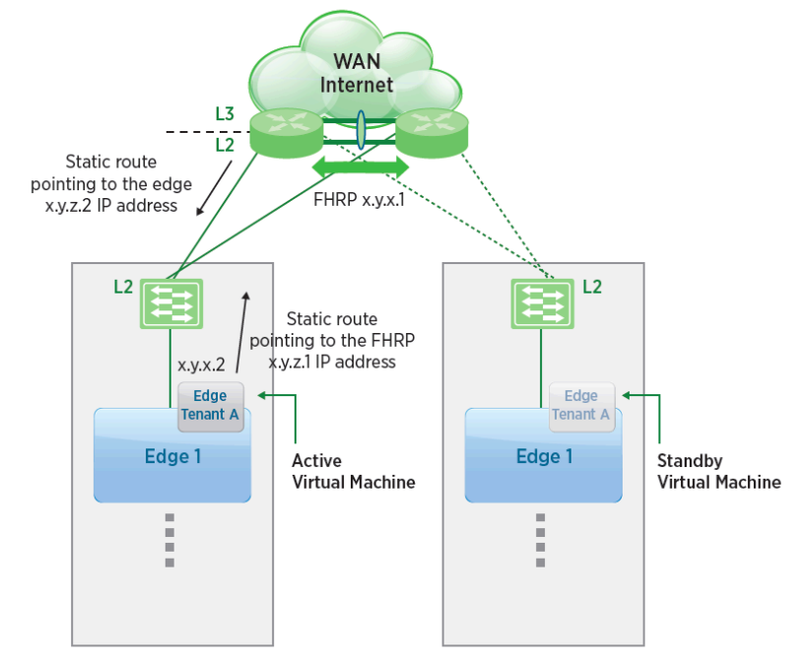 Ports on a secondary VLAN can be either Isolated, communicating only with promiscuous ports, or Community, communicating with both promiscuous ports and other ports on the same secondary VLAN. – This is the default policy. – The vSwitch assigns the VM’s virtual network adapter to a port number and uses the port number to determine which path will be used to route all network I/O sent from that adapter. – This implementation does not require any changes on the connected physical switches. – The vSwitch performs a modulo function, where the Port number is divided by the number of NICs in the team, and the remainder indicates the path to place the outbound I/O. – If the path fails, the outbound I/O is automatically re-routed to a surviving path. – This policy does not permit outbound data from a single virtual adapter to be distributed across all active paths on the vSwitch. – This policy uses the MAC address of the virtual adapter to select the path, rather than the port number. – The vSwitch performs a modulo function, where the MAC address is divided by the number of NICs in the team, and the remainder indicates the path to place the outbound I/O. The Route based on Source MAC Hash algorithm does not consider load into its calculation for traffic placement. – This is the only option that permits outbound data from a single virtual adapter to be distributed across all active paths. – The vSwitch must be configured for IP Hash for inbound load balancing. – The outbound data from each virtual adapter is distributed across the active paths using the calculated IP hash. – If a virtual adapter is concurrently sending data to two or more clients, the I/O to one client can be placed on one path and the I/O to another client can be placed on a separate path. – The outbound traffic from a virtual adapter to a specific external client is based on the most significant bits of the IP address of both the virtual adapter and the client. The combined value is used by the vSwitch to place the associated outbound traffic on a specific path. The Route based on IP Hash algorithm does not consider load into its calculation for traffic placement. But the inbound traffic is truly load balanced by the physical switch. – Factors the load of the physical NIC when determining traffic placement. – Initially, outbound traffic is placed on a specific path. Activity is monitored. – When I/O through a specific vmnic adapter reaches a consistent 75% capacity, then one or more virtual adapters are automatically remapped to other paths. – This is a good choice when Etherchannel on the physical switch is not feasible. Relies only on the link status that the network adapter provides. – Detects removed cables & physical switch port failures. – Does not detect a physical switch port that is blocked by spanning tree or is misconfigured. – Does not detect a pulled cable that connects a physical switch to another device. Sends out and listens for beacon probes on all NICs in the team and uses this information, in addition to link status, to determine link failure. ESX/ESXi sends beacon packets every second. – NICs must be in active/active or active/standby, NICs in unused state do not participate in beacon probing. Notify Switches Yes/No – If Yes, a notification is sent over the network to update the lookup tables on the physical switches. Set to No for features like Microsoft NLB in unicast mode. Override switch failover order to manually specify which NICs are Active / Standby / Unused. – VMware recommends that each type of network traffic is separated by VLANs. – Separate VLANs for Management, vMotion, VMs, iSCSI, NAS, VMware HA Heartbeat, Fault Tolerance logging. – Trunk the VLANs on the physical switch. Conveniently I have blogged about this one, and deployed it in production… and I’m running out of steam. The vCNS(vShield) practical CLI use is limited from a configuration perspective, but you may need to interact with these from time to time. Troubleshooting /debugging sessions/log purging come to mind. Expect works well with the vtysh pseudo-terminal used for the vCNS Manager console. I tried and failed (due to errors interacting with the terminal). If you manage multiple vCNS environments, it makes sense to wrap the interactions into these expect scripts. Here’s a small example expect script to change the CLI password from the default. If your operational policy is to update your password every few months; you will find yourself revisiting a script like this. For passing commands to multiple vCNS Managers, you can extend the script to spawn connections based on a list (outside the scope of this post).